Ascended Masters: Who Are They? Ascended masters are enlightened spiritual beings.
" -- They once lived on earth just like we do. -- Over the course of many lifetimes of devotion and striving, they fulfilled their mission and reason for being—their divine plan—and ascended back to their divine source, reuniting with Spirit. -- Though they once had physical bodies like we wear, they now dwell in the heaven world, or etheric octave, and have bodies of light. -- Many ascended masters have chosen to stay connected with souls on earth to guide them. -- They are the true teachers of mankind, directing the spiritual evolution of all those who desire to reunite with divine consciousness, or God." -- He is the Master of the sixth ray, the ray of abstract idealism, and devotion. -- He also had lives as Adam, Enoch, Jeshua, Joshua, Elijah and Joseph of Egypt. -- He works with Archangel Uriel to bring peace, brotherhood, service and freedom to people. -- She is a beautiful, powerful ascended master of great love, wisdom and compassion. -- One of her past incarnations was Isis, when she instructed initiates in the mystery. -- El Morya Khan, was the most renowned of the Tibetan mahatmas. -- He came originally from Mercury and is a member of the White Brotherhood. -- and is the master of the first ray, which is red and governs power and will, drive, confidence and strength. -- He is the master of the second Ray. -- He is the Master of the Third Ray, the Ray of Love. -- He is the master of the Fourth ray, the yellow ray of active, creative intelligence, helping to bring perfection, focus and independence to artists, musicians, peacemakers, philosophers and metaphysicians. -- In past incarnations he was a priest in Atlantis and was the Pharaoh Akhenaton !V and also Amenophis. -- He is master of the Fifth Ray, which is orange. The Ray of concrete science, knowledge and research, which is connected to the Temple of Truth. -- He is helping to bring in the scientific aspect of the New Age. He is particularly teaching us to use our mental powers and drops seed thoughts of the new technology and scientific ideas into receptive minds. -- In a previous incarnation he was Paul the apostle. -- He works with Archangel Raphael. -- Master of the Sixth Ray. -- She is said to be the twin flame of Jesus. -- He was also called, "The Tibetan", who was a beautiful master who achieved liberation under master Kuthumi's guidance. -- He is one of the most accessible of the Masters of Shamballa. -- He works to balance energies and make them easily accessible to all. -- He is a member of the Brotherhood of Golden Robe, those who take on the pain of world. -- In past incarnations he was Pythagoras, bringing in sacred geometry and the music of the spheres. He was the wise man, Balthazar, Shah Jahan and St Francis of Assisi. -- He works with Archangel Jophiel, and helps to touch people with wisdom & illumination, tact, foresight, consideration and friendliness. Tell us about yourself : I love animals, and nature. I believe we all come from the same Divine Sacred Source, and we are all entwined as one, with the universe. Re: Ascended Masters: Who Are They? -- He was initiated into Kriya Yoga and became the greatest Siddha or Perfected Master ever known. -- It is said that you only have to say his name with reverence and you directly attract a blessing from him. -- Melchizedek is an ancient cosmic being in charge of the order of Melchizedek. This brotherhood organizes the Mystery School, which holds the secrets of God, the Universe and the true history of the planet, and is working to establish heaven on Earth. -- From Venus, he has assisted humanity from the lighter realms perhaps longer than any other master. -- His higher self is supposed to have 32 lives on another galaxy. -- She is also known as, "The Great Goddess," and, "The Mother of Compassion" throughout Asia. -- Her proper name is Kuanshih Yin and means "She who harkens to the cries of the world." -- His name is derived from the Sanskrit Maitri meaning, "Universal love,"
-- He is known as the, "Master of Masters". He has served this position for 2500 years. -- He was a 19th century Indian Master, and a direct disciple of the immortal Himalayan master Babaji. -- Also a profound being of light and wisdom, he was strongly connected with Sufism. -- He did not speak from 1925 until he left his body in 1969. -- The Goddess Hathor who represents an ascended civilization of the fourth and fifth dimensions. -- Attaining self sudden realization at the age of 16, he is one of the great sages of modern India. -- Was an Indian Yogi, at Babaji's request came to America in 1920. -- He founded the Self Realization Fellowship based in Los Angeles. -- There he founded the Self Realization Fellowship and introduced kriya yoga to the west. -- He was a great and revered master, and the beloved guru of Paramahansa Yogananda in India in the early 1900s. -- He is a Member of the Karmic Board, representing the first ray. -- He represents an action similar to the Christ Self (Higher Mental Body) to mankind. -- Lord Gautama, the buddha was one of the great enlightened ones. -- He taught detachment and the middle way. -- It was during a meditation under the Bodhi Tree that he received Enlightenment. -- She holds the balance of mercy and judgment, and helps those who want to balance heart and head. 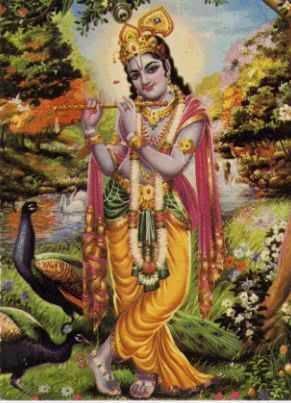 -- Lord Krishna was incarnated over 5,000 years ago. -- Born as a cowherd boy, Krishna displayed his perfect divinity with the all attractive features of wealth, power, fame, beauty, wisdom and detachment. -- Lord Metatron, one of major Archangels assigned by Mother/Father God to be in charge of this present Creation, which is sixth of ten Creations provided for by Divine Plan. -- He was Enoch in an earthly incarnation. -- Born in 551 B.C. -- He was an early incarnation of Ascended Master Djwhal Khul. -- Ganesha is depicted as an elephant-headed man to express the unity of man, the small being, with the Great Being, God. -- Hindus believe Ganesha can remove obstacles, including obstacles to devotion. -- Iranian religious reformer, & founder of Zoroastrianism, connected with occult knowledge and magical practices in the Hellenistic Age. -- Was a Capuchin priest from San Giovanni Rotondo, Italy. -- People are still being cured through his intercession in ways that cannot be explained by medicine or science. -- Milarepa is one of the most widely known Tibetan Saints. -- Out of compassion for humanity, he undertook the most rigid asceticism to reach the Buddhic state of enlightenment and to pass his accomplishments on to the rest of humanity. -- Afra is the patron of Africa and of the black race. -- He offers to help us reconnect and maintain our deep connection to Spirit, and follow its innate rhythm throughout every area of our lives. He wishes to help us express our Higher Self energies which are always available to us. -- The prophet Elijah ascended to God in a "chariot of fire". -- Elijah returned to earth to go before Jesus as John the Baptist. -- Saint Teresa of Avila, sixteenth-century reformer of the Carmelite order in Spain. -- She is familiar as a lady in King Arthur's court. -- She is associated with the medieval mystic and reformer, St. Theresa of Avila, who founded Carmelite convents in Spain. -- Hermes Trismegistus, ancient Egyptian sage, was called the "scribe of the gods." -- By some she is known as, "Wife of Jesus," and "the Disciple of the Disciples". -- Because of her power and popularity the early church fathers slandered her and did all that they could to cover up her true relationship with Jesus. -- Earthly incarnations: Francis Bacon, High Priest on Atlantis, Samuel the Prophet , Alban, Roman Soldier, Teacher of Neoplatonists, Merlin, Roger Bacon, Christopher Columbus, Wonderman of Europe . Actually I have learned from many of the ones you posted. Also very influencial were of Babaji lineage: Sri Ramakrishma, Lahiri Mahasays and especially Yogananda. And of course Jesus, Buddha and Krishna as well. To understand that these great masters await and are there for us always is a beautiful truth and one I entertain each morning as I pray and give thanks! I say again...great post!..I hope everyone has a chance to study and come to know these great beings! I am only starting to learn about the others. I have always known about only some of them, not all.. So this post allows me to learn as I go along also..
We are blessed with so many great masters, that I was afraid that I would miss one or two.. So if you can think of any that I missed, please add them on.. I'd love to learn from them as well.. The more masters I learn about and experience, the more I feel that they are actually the same ones appearing in different ways! That makes sense as well to me, because they each represent and specific type of essence or energy of the Divine so whether that energy comes to us hanging on a cross or in a Buddhist monastery, it may be the same energy. The great news is: we are that energy as well! I noticed that they keep re-appearing as well!! As many times as I have “experienced” other realms, I have always wondered what is it like to be on the other side “experiencing” this realm. In other words, what would it be like to be an ascended master looking upon and influencing me or you. How do our guides see us? What is “being” in that consciousness like? It certainly makes you wonder! As your post suggest, maybe someday we will know! WhiteShaman wrote: As many times as I have “experienced” other realms, I have always wondered what is it like to be on the other side “experiencing” this realm. Hobbies : Gardening, Reading, Writing and so much it would be too time consuming to post. Love the little "Monk" symbol! in this case - Spirit. given the journey of the soul....no?